What if you could carry in the palm of your hand a guitar amp that had access to virtually any guitar sound you can imagine? And what if you could drive a 4x12" cab with it with no additional gear needed? 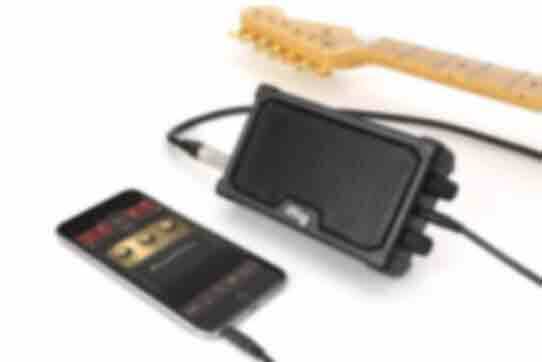 Now you can with the new iRig Nano Amp — the first micro guitar amp and interface for the mobile guitarist. iRig Nano Amp is a super-compact battery-powered self contained micro amp and interface for iOS that you can use by itself, with headphones or even an external speaker cabinet — this power-packed amazing little amp can drive up to a 4x12" guitar cab! 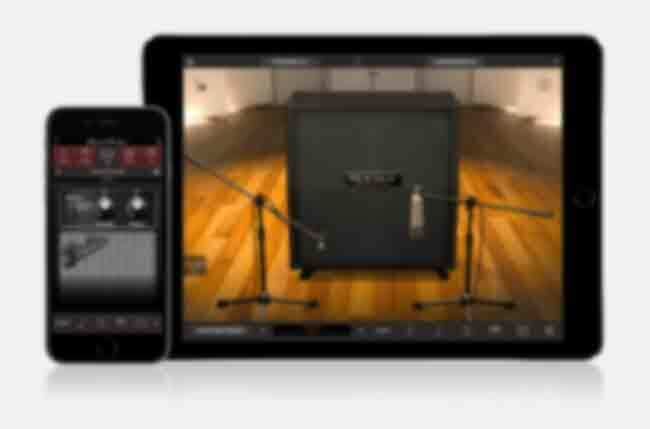 But what makes it more versatile than any other micro amp is that it features the iRig circuitry so you can plug your iPhone or iPad into it with the included TRRS cable and tap into the limitless world of AmpliTube guitar tone and more on your iPhone and iPad. 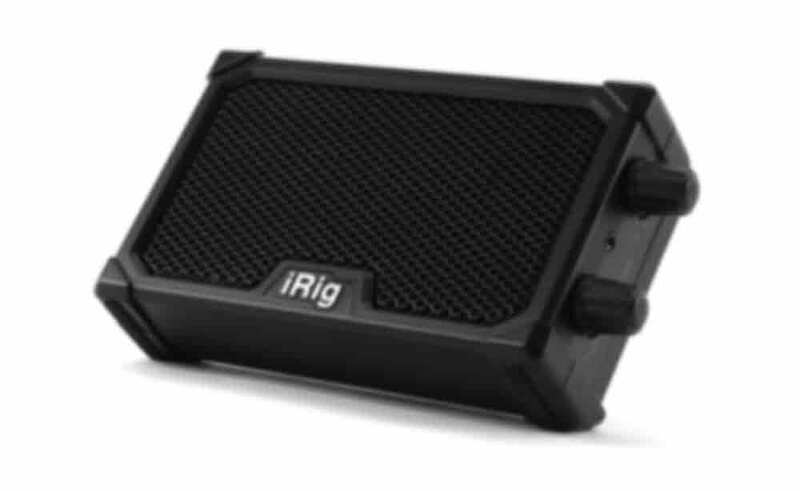 iRig Nano Amp features a 1/4" speaker out jack that — get this — can drive up to a 4x12" cabinet. When you plug in, you’ll be floored by the volume and tonal definition that iRig Nano Amp provides. 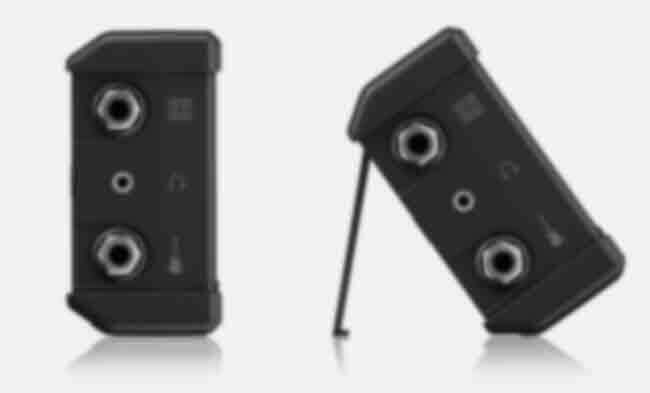 You can connect an external cab in both AMP and DEVICE modes giving you the most flexibility of any “micro” amp out there. 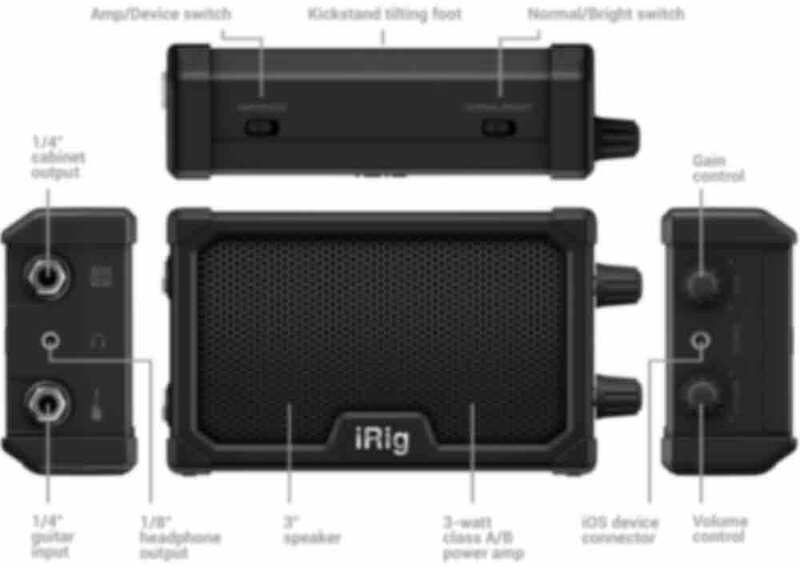 iRig Nano Amp is compact — it’s just slightly larger than an iPhone, fits in any gig bag or the palm of your hand and features a handy “kickstand” for tilting back the unit for better monitoring. Inside, iRig Nano Amp powers a 3" speaker with a 3-watt class A/B power amp. When in Amp mode, you set your overall output volume with the volume control, then dial in just the right amount of saturation and distortion for your playing pleasure.